The VLATOS music events continue: Irini Derembei (vocals, thiaboli) and Karolos Kouklakis (vocals, boulgari) are performing in Vlatos ! In 1993 the two soloist singers and musicians established the group “Paleina Seferia”, which means “Old times”. The group, influenced by the tunes of the island of Crete, dealt with the traditional music in a creative way, added their own songs and tunes and recorded two projects, the “Paleina Seferia” and the “Os in aeras”. They collaborated in concerts with famous composers like Nikos Mamangakis, Vangelis Papathanassiou, Yiannis Markopoulos, Christos Leondis and soloists like Marios Frangoulis. 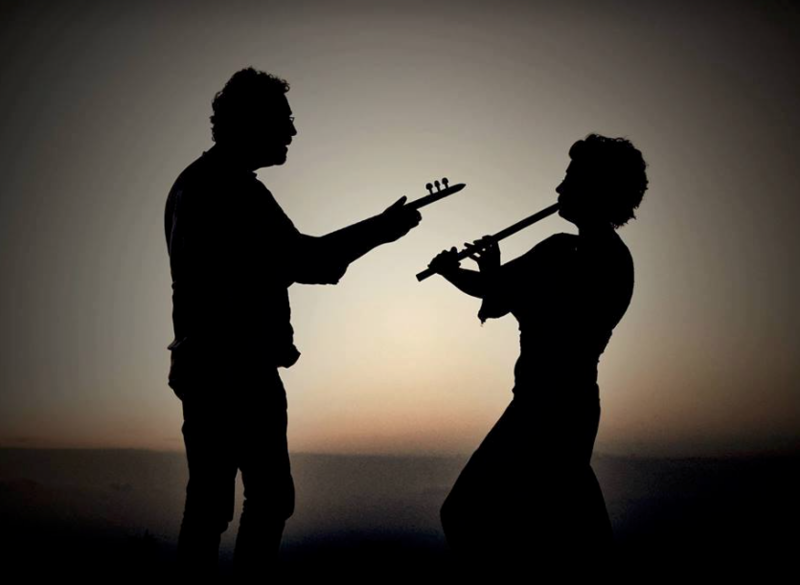 Since 2008, they have been working in the project Antama, which means “together”, related to Cretan music, with focus on traditional wind and string instruments like thiamboli, a kind of flute and boulgari, a kind of lute. They perform in concerts all over Greece and worldwide.